Figures published by London Trading Standards show children as young as 13 continue to be sold knives across the capital. It is illegal to sell knives to anyone under 18. The first day of London Trading Standards Week, which runs 25-29 September, is focused on reducing the number of knives sold to children. The key message is ‘helping prevent people being killed through knife crime’. So far this year, 315 spot checks, known as test purchasing, have been carried out by 18 London Trading Standards departments and the Metropolitan Police, using child volunteers between the ages of 12 and 17. The vast majority of shops visited refused to sell, but 50 sales were made, and a variety of knives and bladed articles, including kitchen knives, utility knives, razor blades and cleavers were sold to children. Last year 725 test purchases were carried out, resulting in 96 sales – a compliance rate of 87% compared to this year’s rate of 84%. However, it is difficult to accurately compare the figures at this stage. Trading Standards Officers carried out the test purchasing as part of the crime prevention element of ‘Operation Sceptre’. This Metropolitan Police initiative is aimed at reducing knife crime and reducing the number families affected by knife crime. This work will continue, as 93% of London Trading Standards departments report that knives will be on their test purchasing lists, into 2018. London Trading Standards are now working to support more responsible retailing of knives and 69% of boroughs have a local knife crime action plan or strategy. 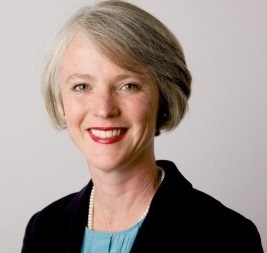 Initiatives include a number of boroughs introducing, or refreshing, local partnership schemes. These encourage knife retailers to adopt a ‘challenge 25’ policy, as well as taking the practical steps of keeping knives behind the counter, or in secure cabinets, so that staff can control sales more easily and the opportunity for theft is reduced. Both Royal Greenwich and Bromley Trading Standards are launching new local schemes this week whilst Croydon and Southwark will be looking to sign up new members to their existing schemes. Also launched this week is a new short film available on YouTube, of a London Trading Standards Operation Sceptre day which also features an example of responsible retailing. “Knife crime devastates families and communities, and selling knives to children is both illegal and unacceptable. Tackling knife and gang crime is one of the Mayor’s top priorities, and we are working closely with the Met, retailers and Trading Standards to do everything we can to prevent young people getting hold of knives in the first place. We are also targeting those who carry weapons and cracking down on online videos that glamorise and encourage this terrible violence. Everyone has a part to play in ending the deeply concerning rise in knife crime that we have seen across the capital and to spread the message that carrying a knife is more likely to ruin your life than save it”. 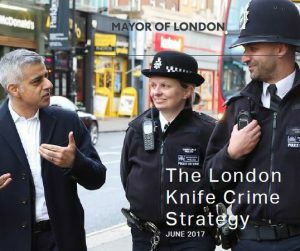 “ Whilst the Mayor’s Knife Crime Strategy, published in June 2017, recognised the valuable contribution of London Trading Standards to tackling knife crime we would welcome more central and regional government commitment in terms of resourcing further test purchasing and tackling online sales”. Watch London Trading Standards in Operation Sceptre on YouTube.